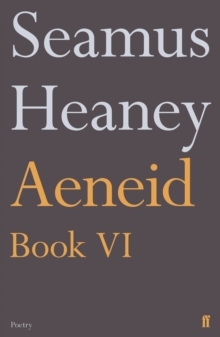 In a momentous publication, Seamus Heaney's translation of Book VI of the Aeneid, Virgil's epic poem composed sometime between 29 and 19 BC, follows the hero, Aeneas, on his descent into the underworld. In Stepping Stones, a book of interviews conducted by Dennis O'Driscoll, Heaney acknowledged the importance of the poem to his writing, noting that 'there's one Virgilian journey that has indeed been a constant presence, and that is Aeneas's venture into the underworld. The motifs in Book VI have been in my head for years - the golden bough, Charon's barge, the quest to meet the shade of the father. 'In this translation, Heaney employs the same deft handling of the original combined with the immediacy of language and flawless poetic voice as was on show in his translation of Beowulf, a reimagining which, in the words of Bernard O'Donoghue, brought the ancient poem back to life in 'a miraculous mix of the poem's original spirit and Heaney's voice'.